1.When did you join RMSDF? I chose it because I wanted to learn skills and gain confidence to be able to protect myself and others. 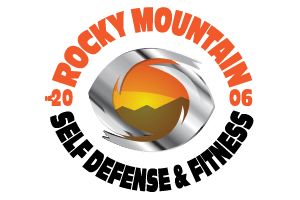 It was one of the best sounding ones I found when I Googled self defense classes and after trying one class I loved it. I haven’t noticed a ton of changes because I already worked out frequently on my own beforehand, but I’ve noticed a little more muscle definition in my arms. Go as frequently as you can, because repetition and practice makes all the difference. Definitely not burpees haha. I like a lot of the ground moves, because I feel like my legs are stronger so I can usually do those well, and it’s just kind of fun to buck/flip people. When someone told me one of my front kicks would’ve knocked the wind out of them if they weren’t holding the pad. I have been eating healthy for a while because of my own goals at the gym, but I feel like after starting Krav I’m always hungry now haha.